DUBOIS COUNTY -- Be a part of the addiction solution in Dubois County. 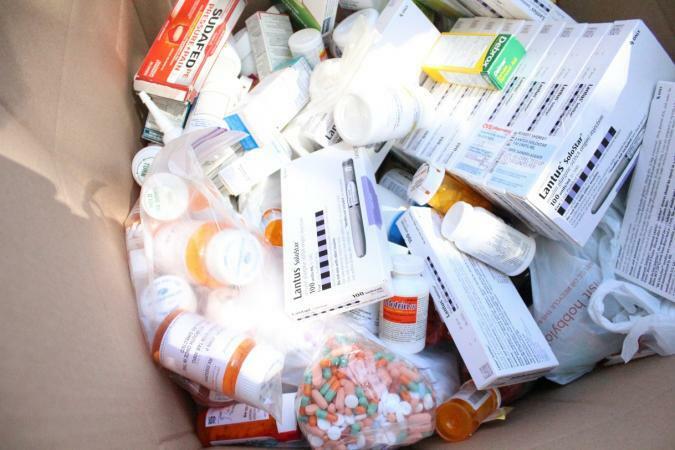 Bag medications and dispose of them at the Dubois County Medication Collection on Saturday, October 27, 2018 as part of the DEA National Pharmaceutical Drug Take Back Event. The Jasper State Police Post, located at 2209 Newton Street, will host the collection from 10:00 a.m. to 2:00 p.m. EDT while the St. Anthony Fire Station, located at 4068 E 450 S, and Holland Fire Station, located at 504 Main Street, will host from 10:00 a.m. to 12:00 p.m.
Huntingburg and Jasper Police Departments have a 24/7 medication drop box in their lobbies available for any Dubois County resident at any time. Contact those two departments individually for any restrictions they may have. Chief Deputy Tim Lampert asks Dubois County residents to clean out the expired, unwanted, and unused medications from your home. Don’t forget vitamins, ointments, syrups, drops, herbal products, meds that should have been kept cold but were not, and aerosols not in pressurized containers. These pharmaceuticals will be accepted at the collection sites. No sharps (needles), infectious materials, (anything containing bodily fluids) or waste will be collected. This Collection is for private citizens only. No collections will be accepted from for profit businesses or health facilities. Unused drugs are a common household health threat that can be lessened when you clean the old and unused meds out of your home. Dubois County Solid Waste Management Director, Carla Striegel-Winner, reminds residents that correct disposal of medications creates a safer and cleaner environment, and greater public awareness reduces illegal activities and scavenging of personal property and public waste receptacles. Pharmaceuticals, when poured down the drain, or flushed down the toilet enter the sewage system, and potentially our rivers, ground water and drinking water. Some drugs may kill the beneficial bacteria in sewage treatment plants and septic systems if flushed down the drain and may produce resistant infectious bacteria. Burning can release toxic pollutants into the air, and if thrown in the trash, can be scavenged from trash receptacles to be illegally sold or ingested. The Dubois County Sheriff’s Department will supervise the collections at St. Anthony and Holland Fire Stations, and the Indiana State Police will supervise the Jasper Post site. This project impacts the substance abuse and environmental stewardship of Dubois County communities. The sponsors of this Dubois County Medication Collection are the DEA, Indiana State Police, Dubois County Sheriff’s Department, Dubois County Solid Waste Management District, Dubois County Substance Abuse Council, Fire Stations, Dubois County CARES and TRI-CAP RSVP.